"I paint to understand; by painting I explain the world to myself. Light, the main subject of my art, is such a fickle matter. It often takes me weeks to capture a brief moment. The landscapes I picture are not imagined. I encountered them, I walked through them. I hope I can communicate the intensity and beauty of the moment once experienced and let others see the world through my eyes." 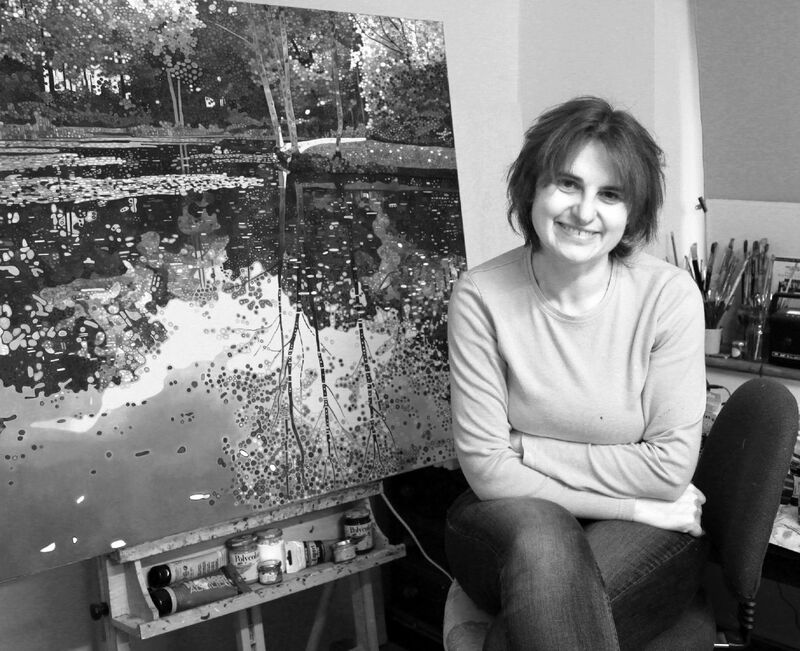 Ewa Adams is a landscape painter. 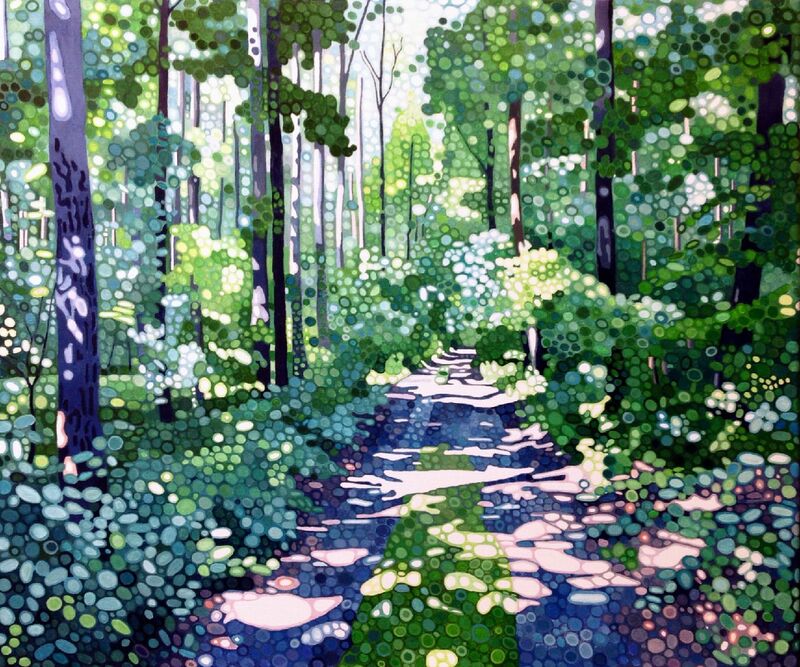 Her painting is a contemporary take on Pointillism. She builds her images out of circles of pure colour juxtaposted next to one another, and when viewed from the distance an optical interaction, a mixing of colours, is created by the eye of the spectator. Her painting technique is a slow, repetitive and meditation-like process. The result is a distinctive work of incredible freshness, vibrancy and luminosity. The humble landscapes are elevated, they glow witht uplifting energy, they buzz with life.Her pallet is bright and bold, her understanding of the tone and colour interrelations is second to none. Her images are full of joy and optimism. With paint she creates form, movement, sense of distance and light. She captures the beauty of the familiar world. Unremarkable becomes remarkable.